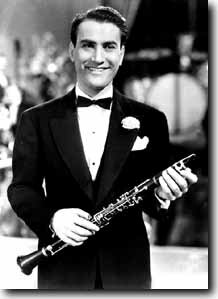 enlisted in the US Navy and later formed a band, which served in the Pacific area (similar to Glenn Miller’s wartime band in Europe). 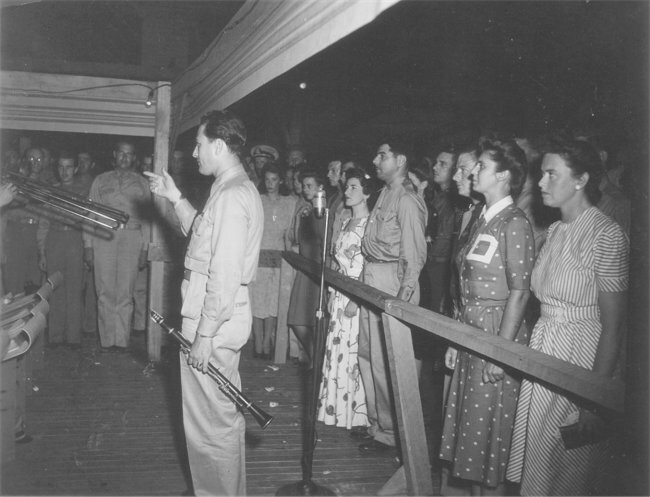 After 18 months playing for Navy personnel (sometimes as many as four concerts a day in battle zones, including Guadalcanal). 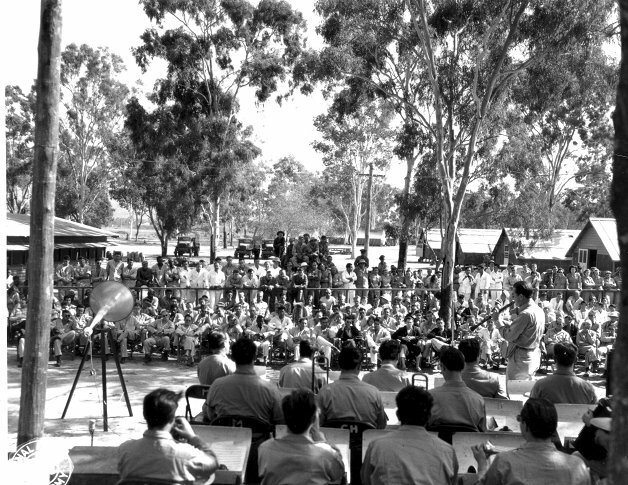 Artie and his Band also played in Townsville during this period, mainly to US Forces camped here. Artie returned to the U.S. in a state of physical exhaustion, receiving a medical discharge. In the late 1940s, Shaw performed classical music at Carnegie Hall and with the New York Philharmonic under Leonard Berstein and continued his jazz and band career. 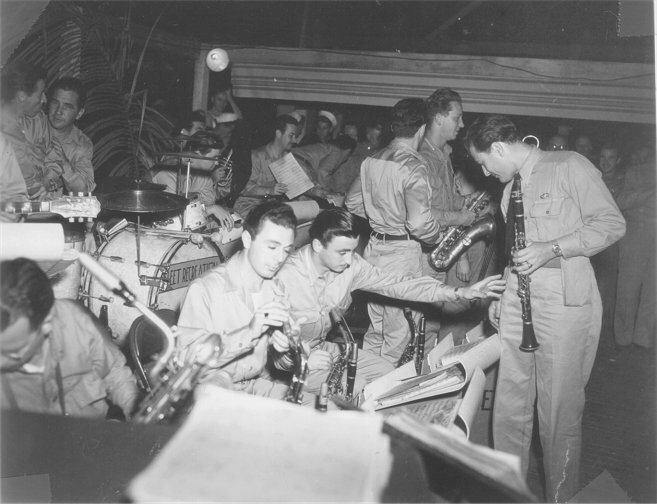 Chief Specialist Artie Shaw, U.S.N., and his band play for patients of the US Army’s 13th Station Hospital, Aitkenvale, Townsville on 24th September, 1943. WW2 site of the 13th Station Hospital was in Hatchett Street, Cranbrook which is currently the site of Holy Spirit Primary School.